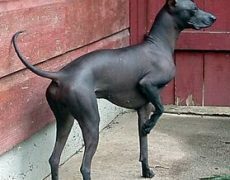 The Peruvian Inca Orchid (Peruvian Hairless Dog), the National Dog of Peru, is a very primitive, hairless breed that originated more than a millennium back, during the pre-Incan cultures. 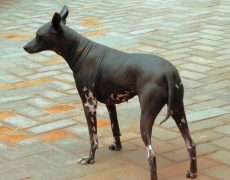 These dogs may be small, medium and large with the medium sized ones being the most common. 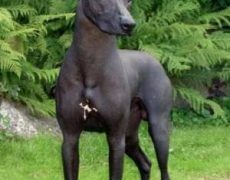 They have a very sleek body with a pointed head, erect and triangular ears, slender legs, and a long, thin tail. The number teeth in these dogs are relatively lesser, compared to the dentition of the other dogs in general. They are one of the rare breeds that are known by many different names. As a breed, the Peruvian Inca Orchid is so ancient that it is practically impossible to know the exact history of its origination. 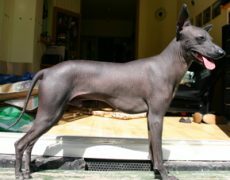 Hairless dogs with a slender body, having a striking resemblance to the Peruvian Inca Orchid, have been depicted in the pre-Incan, Incan Vicus, Mochica, Chancay and Chimu artifacts that date back to 750 AD or before. 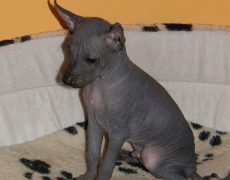 Some experts believe that the PIO descended from Xoloitzcuintli – the hairless Mexican dog that was introduced to Peru by sea traders from Ecuador. 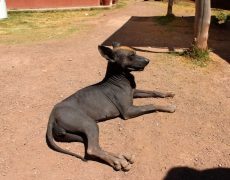 This dog gets its ancient name ‘Quechua’ from the Inca people that roughly translates to naked dog. 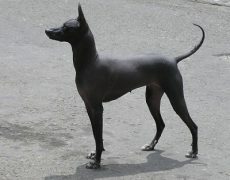 Later, the Spanish men found these dogs kept as pets in the noble residences in the Inca society. PIOs were initially used as working dogs, serving the purpose of hunting. 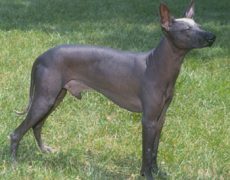 Additionally, they were also used as bed-warmers by the Incan royals since, compared to other dogs, the hairless body of this breed would radiate more heat than usual. 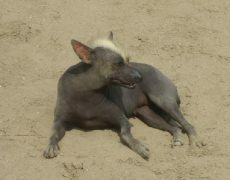 In 1966, American dog fancier Jack Walklin came across this Peruvian breed while visiting the country. Walklin combined its many different names and eventually called it Peruvian Inca Orchid. He took eight specimens to the United States and began with their breeding. 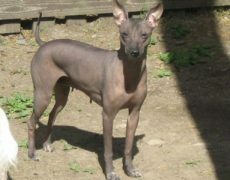 It was another breeder named Jenny Tall who introduced a few of these newly bred dogs to Europe. Along with a few recognitions from several registries, the PIO was recognized by the AKC under its ‘Miscellaneous Class’ with a ‘Sighthound’ designation in 2011. The Peruvian Inca Orchids are affectionate dogs and create a strong bond with its family. It is one of the rare breeds that are not only protective of the children in the family, but also women. They are lively, active, agile and fast, and enjoy hunting small rodents. These animals do not love to stay alone for extended periods of time since they get bored easily. Though these dogs are wary of strangers, they are good with other dogs. Peruvian Inca Orchids are not suitable for first-time owners and are recommended for those who are expert with dog communication. If under-exercised, the PIO can grow up to an anxious and nervous dog. They love outdoors and have an inherent hunting instinct. Take them out for a long walk daily, along with a few other activities including jogging, playing games, etc. 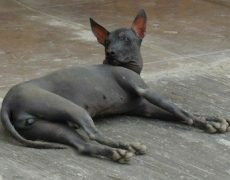 As a hairless dog, grooming the PIO is easier. However, some individuals might have very fine hair. In that case, you can use a very soft brush to comb its body lightly. To cleanse your dog, use a mild dog shampoo or a soft damp cloth soaked in warm water, as well as a skin conditioning moisturizer to keep the skin hydrated if you are living in a relatively colder region. Use sunscreen if you need to expose it in the sun. 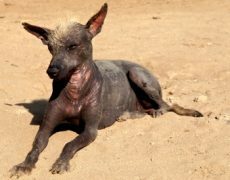 If you are residing in an area with a warm climate, you can bathe your dog once a week or fortnight or even month, depending upon your requirement. 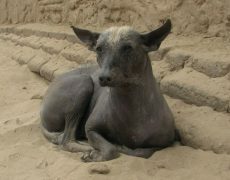 Since the Inca is hairless, it’s your responsibility to take proper skin care of your dog. Avoid exposing your PIO to direct sunlight as much as possible. A few health issues, mostly skin problems, might affect your dog if proper care is not taken. Acne, skin lesions, epilepsy, and irritable bowel disease are a few of the diseases your dog might be vulnerable to. Socialize your dog from a very early age so that it does not grow up to a shy adult, shaky of strangers. If you are a first-time owner, you might also consider seeking training help from puppy kindergartens. Ask your kids, if any, to interact with it from time to time, meet new people and their pets, visit public places (on a leash), and so on. Such interesting connections with the outside world would not only keep your puppy mentally fit, but also help it learn to accept strangers calmly. They have no breed-specific food requirements. 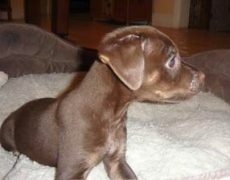 However, depending on whether your dog is small, medium or large, you should arrange for the same quantity of its two daily meals like other small, medium and large dogs respectively need. PIO gets its nickname ‘Moon Dog’ because of its aversion to the sunlight.